This quick and easy no bake peanut butter bars recipe is made with 5 simple ingredients. They are rich and fudgy and great as a healthy snack or dessert. Do you guys remember those delicious NO BAKE peanut butter bars like Reese’s candy bars? You know…. those chocolate peanut butter bars like school cafeteria that many of us enjoyed as kids? I was crazy about them and my Mom developed a COPYCAT recipe years ago, which is to die for. However, her recipe for peanut butter bars with brown sugar, corn syrup/karo syrup is not exactly healthy…lol. So, I made some changes and made a HEALTHIER version without all the processed ingredients. These peanut butter bars with chocolate layer are so addictive that you can’t stop eating them. Seriously, with all these “good for you” ingredients like pure peanut butter, oat flour, collagen peptides and dark chocolate, these are the ultimate peanut butter energy bars (no bake). They taste very similar to my Mom’s recipe for but with probably HALF the calories…lol. These no bake peanut butter oatmeal bars are rich and fudgy and I promise that you can’t even taste the oats, which is REMARKABLE… Don’t you think? 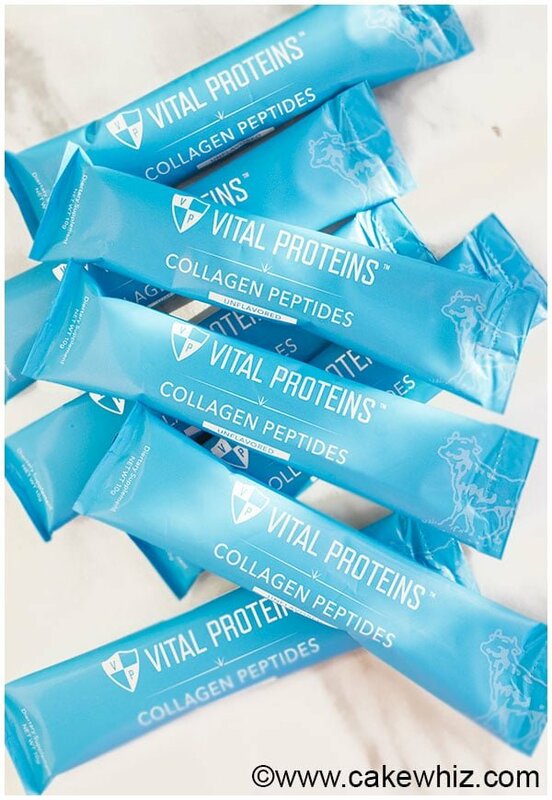 I added some Vital Proteins collagen peptide powder in these bars to give them a BOOST of nutrition. These individual stick packs are my FAVORITE thing in the world these days. I carry them in my purse and even my travel bags. I also have some in my gym bag for to use in my post work-out smoothies. They have NO odor, flavor or color and your recipes won’t be affected at all, which is INCREDIBLE! 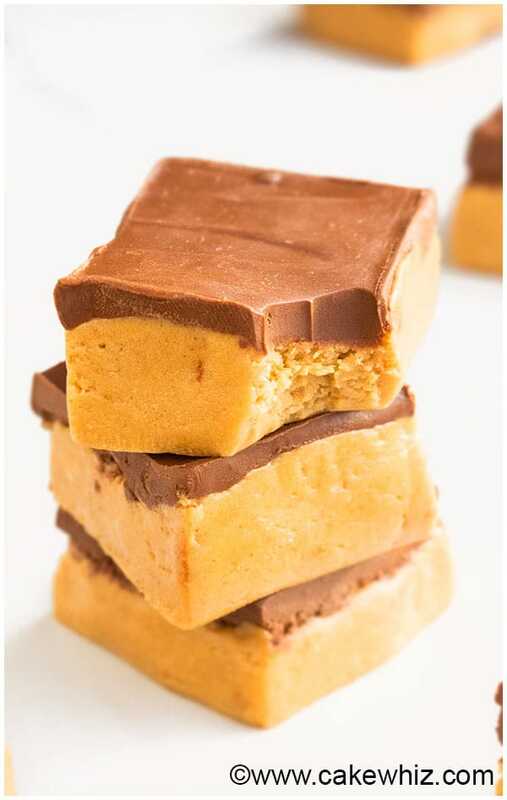 To make peanut butter marshmallow bars (no bake), stir in ½ cup mini marshmallow in the peanut butter mixture. To make peanut butter granola bars (no bake), reduce the oat flour to 1/4 cup and also add 1/2 cup of your favorite granola mixture. To make peanut butter bars with glaze, prepare a simple sugar glaze and pour that on top of the chilled peanut butter mixture. Then, let it set and cut slices. 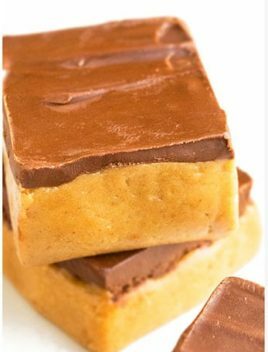 To make cake like peanut butter bars or peanut butter bars with cake mix, prepare a sheet cake and freeze it until it becomes firm. Then spread the peanut butter mixture on top of the cake. Chill again until the peanut butter layer sets and then cut slices. 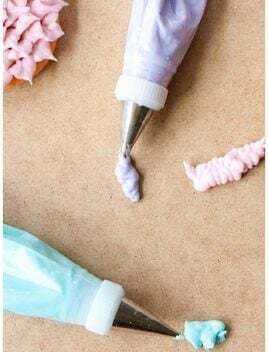 To make peanut butter bars with cream cheese frosting, omit the chocolate layer and replace that with this my best cream cheese frosting recipe. Similarly, you can make peanut butter bars with peanut butter icing, if you want to satisfy major peanut butter cravings…hehe. 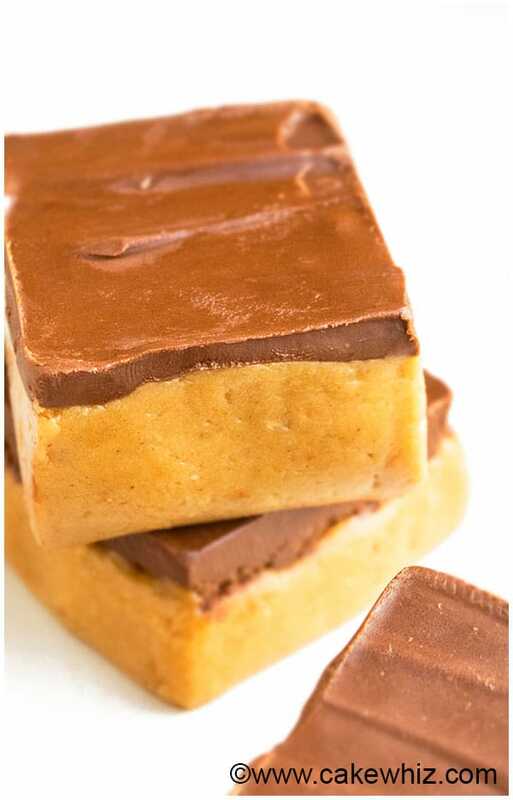 To make simple peanut butter bars without chocolate, just omit the chocolate layer completely. To make peanut butter bars with pretzels, add 1/3 cups roughly chopped salted pretzels on top of the chocolate layer before it has a chance to set. To make peanut butter bars with peanut butter chips, you can add 1/3 cup peanut butter chips in the peanut butter mixture. To make peanut butter chocolate chip bars, you can add 1/3 cup dark chocolate chips in the peanut butter mixture. 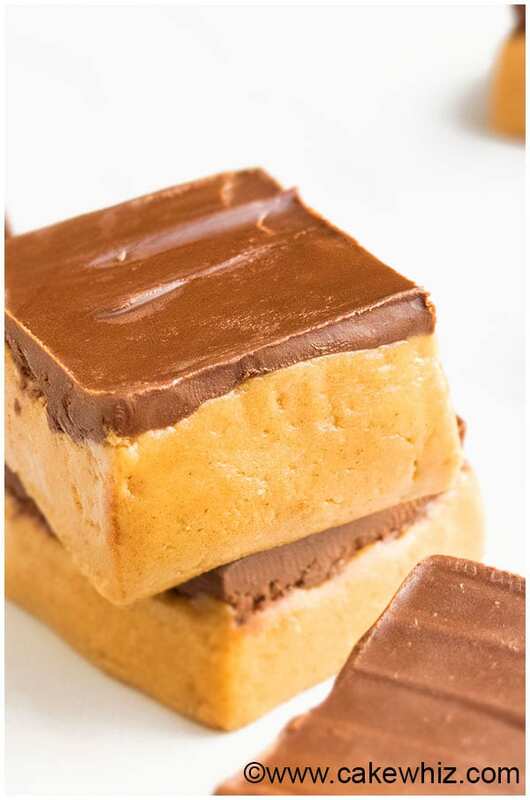 To make peanut butter bars with white chocolate, you can omit the dark chocolate layer and replace that with melted white chocolate or white chocolate ganache. To make peanut butter bars with salted chocolate ganache, prepare salted ganache. Then, pour it on top of the chilled bars and spread it evenly with a spatula. Chill the bars until the ganache sets. To make peanut butter protein bars (no bake), you can use protein powder of your choice or use collagen peptides like me. Vital proteins has one with no flavor and they also carry a few with some yummy flavors. 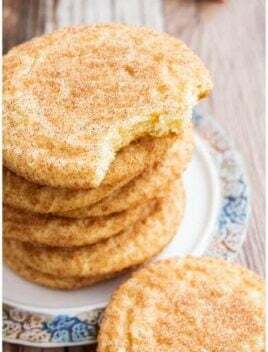 To make gluten free, vegan peanut butter bars, stick to using oat flour, almond flour or coconut flour and omit the collagen peptides and replace honey with vegan sweeteners like maple syrup. How to make peanut butter bars with cereal like Cornflakes, Cheerios? Frosted flakes? Rice crispy? Easy! You can reduce oat flour to ¼ cup and add ½ cup cereal of your choice. Use pure peanut butter without any processed additives. 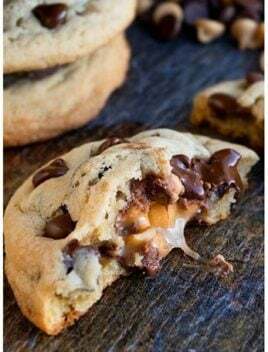 You can use creamy or chunky peanut butter. I also highly recommend using unsalted peanut butter. If you don’t have oat flour, you can just pulse some quick cooking oats in a food processor for a few seconds to make your own homemade version. If you don’t have honey, you can use maple syrup too. I have tried a couple of recipes for peanut butter bars with coconut oil but I find them to be too unstable. They melt too fast and are a little messy to eat. So, I don’t recommend that modification. To make perfect slices, remove the pan from the fridge and keep it a room temperature for 10 minutes. Then, run a sharp knife under warm water and wipe it clean with a towel and cut slices. Leftovers should be kept in a sealed container in the fridge for up to 1 week. Are peanut butter bars healthy? It all depends on what ingredients you are using to make these bars. 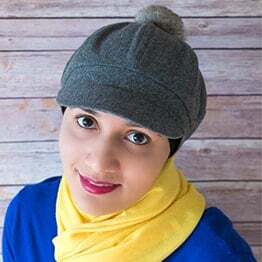 There should be NO processed sugars or syrups or any unhealthy oil or butter. The recipe for no bake chocolate peanut butter bars that I am sharing today is as healthy as it gets yet they still taste as good as the regular full-fat version! What is a peanut butter bar candy? 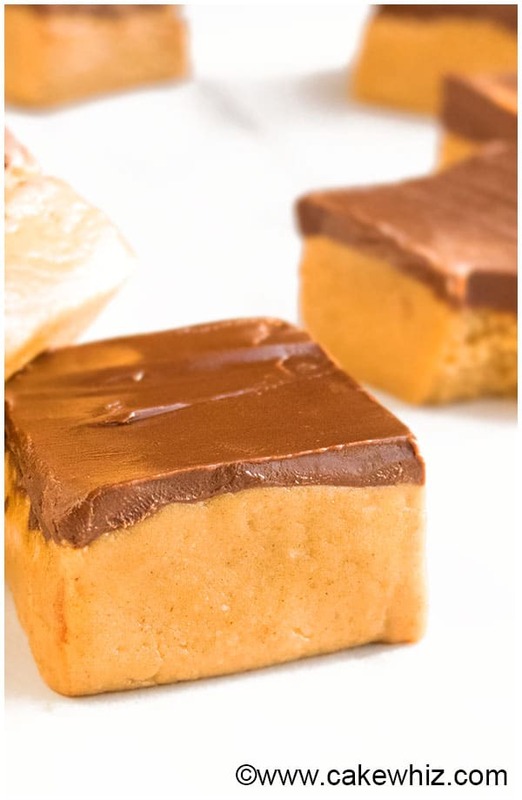 How to make peanut butter bars without graham crackers/No graham crackers? Classic bars are made with graham crackers but you can replace that with oat flour, almond flour or even coconut flour. That would thicken the mixture and you can still easily cut the bars. How to make healthy peanut butter bars (no bake/no cook)? The process is very simple. Start off by preparing the peanut butter mixture by mixing together the oat flour, collagen peptides and peanut butter. Spread it in a square pan, lined with wax paper. Chill for 20 minutes in the fridge. Then, melt chocolate chips and peanut butter together and pour this mixture on top of the bars and spread evenly. 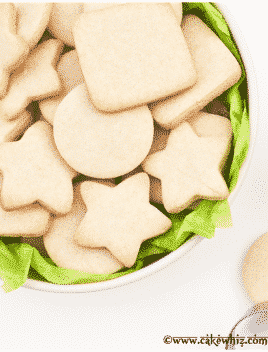 In a mixing bowl, mix together peanut butter, honey, oat flour and collage peptides until smooth. Spread this mixture in a square cake pan (Dimensions: 6x6). 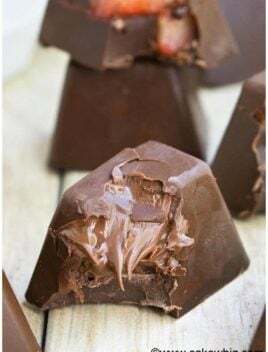 In a microwave-safe bowl, melt chocolate chips and peanut butter together and mix until smooth and glossy. 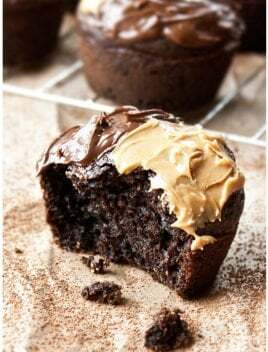 Pour this chocolate mixture on top of the peanut butter layer and spread with a spatula. Chill overnight or at least 6 hours. Cut slices and enjoy! Until nexty time, tata my lovelies! Love the list of healthy ingredients for these bars! These would make the perfect after school snacks for my boys. It’s surprising how similar they taste to my regular bars. They are just as fudgy and just as creamy. Hope your boys enjoy them! Thanks for the recipe! I really like the suggestion of processing regular oats into oat flour. I never tried that before, and it came out great! I wrote a full review of your recipe on my blog. I am so glad to hear you tried them and liked them.